There’s a word in Spanish, convivir, that doesn’t quite have an English equivalent. Translated literally, the closest you could probably come would be to coexist, a term that can also mean to tolerate or to endure, which belies the sentiment behind that symbol-laden bumper sticker you’ve seen plastered on countless Subarus and Saabs calling for harmonious diversity. You could settle for to live together as a broader, safer definition, yet the truth is there would still be something—a potent, emotive quality—lost in translation. Convivir is that feeling of connectedness and ease you feel when in good company. It means to be amongst each other, honestly and openly and fully. It’s this particular word that Alejandra Liera, who goes by the name Purple, chooses to describe Eastside Café in El Sereno. “We’re all here to enjoy each other’s company, help one another, support one another—that’s the feeling I get when coming to Eastside Café, which is why I fell in love with the place,” she says. Despite its name, Eastside Café isn’t a café at all—you won’t find lattes or pastries or a kitchen of any sort. The small storefront situated on Huntington Drive is a community and cultural center that’s been a neighborhood landmark for almost 15 years, hosting everything from ESL classes to yoga to DACA application clinics, all on a donation basis to ensure inclusivity. We are dedicated to rebuilding, reconstructing and reclaiming our communities by creating sustainable projects and collectives to empower one another…We are committed to supporting an active citizenry and renewed communal identity that is continuously engaged in planning for the future through self-determination, education, cultural arts, and community dialogue. 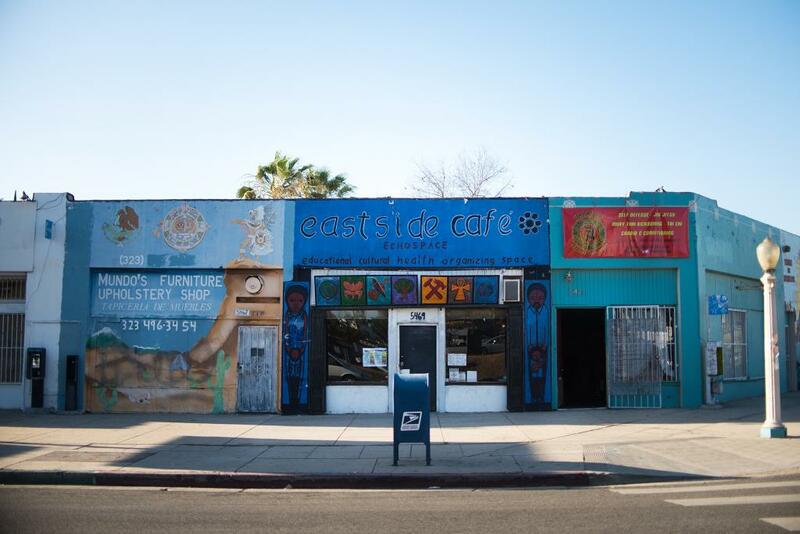 “It’s more than a space, it’s a state of mind,” says Angela Flores, who co-founded Eastside Café with her father and a handful of El Sereno residents in 2004 and who continues to be the café’s guiding force today. 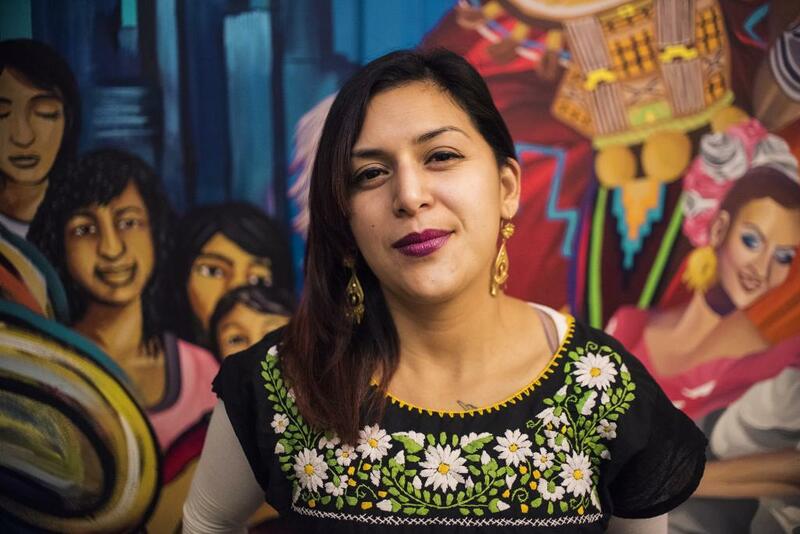 I first met Flores on a recent Sunday evening, as she methodically tidied up the café after a weekend of co-hosting the Mujeres Market, a pop-up DIY marketplace featuring women-of-color artists and creators. We stacked chairs, she swept the floor, and after the last wave of people filtered out, we sat inside the empty space and talked about its beginnings. 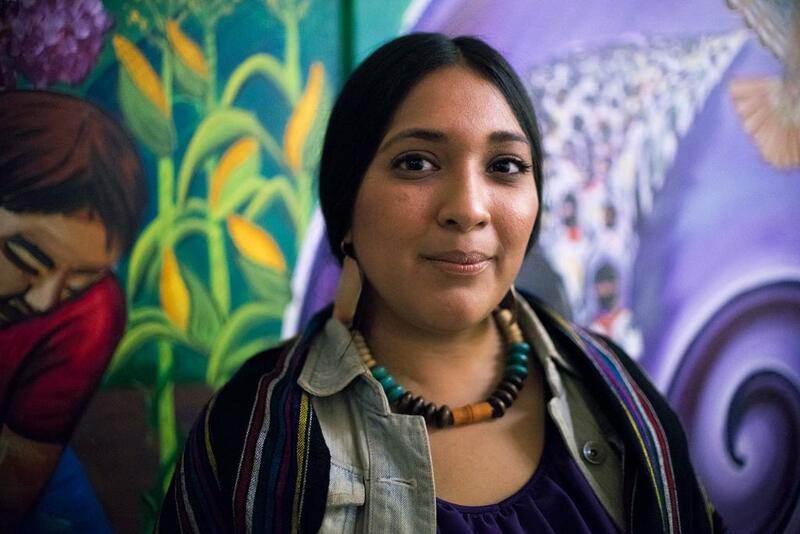 Flores and her father eventually started hosting weekly gatherings in their home each Sunday night, called platicas, bringing together people from the community to discuss the different injustices they were facing and the ways in which they could confront these issues. “We always said: Revolution starts in the kitchen. It meant building community, building relationships, networking,” she says. After two years, they decided to make things more physical and became a mobile collective, hosting events at different spots around the city and tabling at local marketplaces to spread their vision. They called themselves the Eastside Café—adding “café” in honor of the only POC-run café in the neighborhood at the time, Luna Sol. By that time, the Eastside Café had a devoted group of around 30 individuals, motivating Flores and her father to find a physical space to permanently host the collective. They found a cheap storefront on Huntington Drive, and on Día de los Muertos of 2004, Eastside Café celebrated its grand opening. 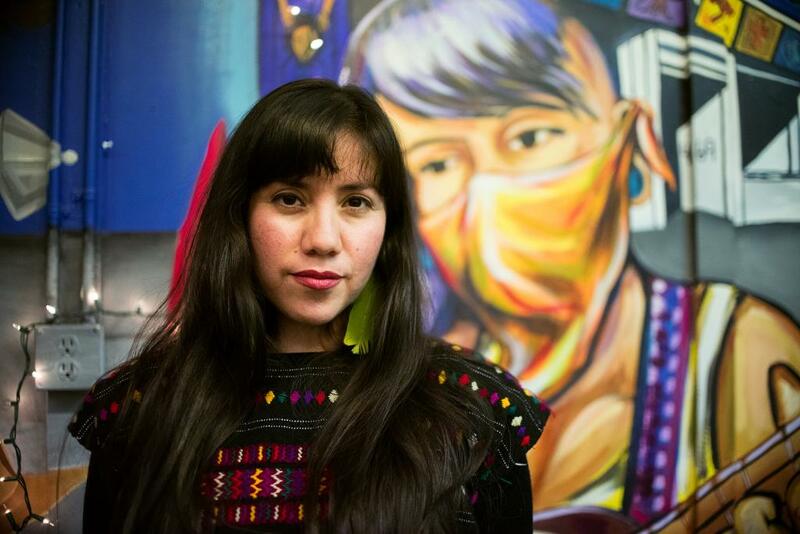 Flores was only 17 at the time and found herself leading the vision of the café, something she saw as a kind of creative incubator for local community members to bring their passions and ideas to life, be it politics, art, music, or educational workshops. It was a large responsibility to take on as a teen, yet Flores threw her heart and soul into the space. But give Flores any credit, and she’ll quickly rebuff. “I don’t do this alone,” she says. She’s quick to point out the many women who support the space and emphasizes the fact that decisions are made collectively, with a horizontal power structure firmly in place. There is no hierarchy, no leader. Instead, those who organize events are referred to as “facilitators,” a democratized title that speaks to the ethos of the space. Two of these facilitators include Purple and Margaux Hernandez, the duo who lead the bi-weekly Womyn’s Circle at the café. “[Womyn’s] Circle is really a place for women of all worlds to come and have a space and outlet to speak and practice empathetic listening skills. A lot of times we don’t realize that we need to work on these skills. 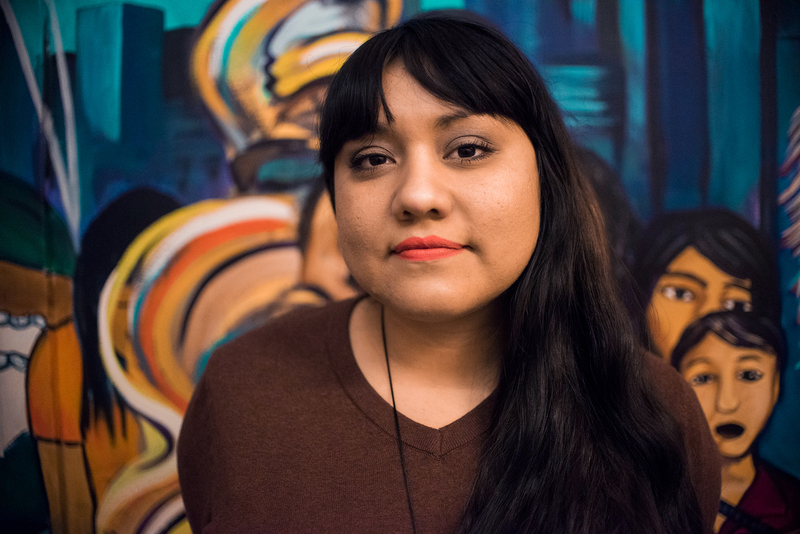 It’s a safe space for you not to be filtered,” says Purple, who attended Womyn’s Circle as a participant for two years and began facilitating alongside Hernandez just this year. 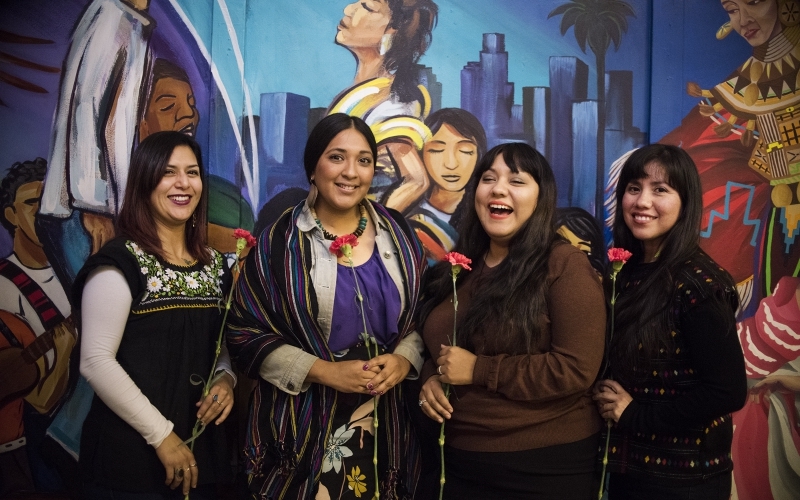 The Womyn’s Circle started in Boyle Heights about six years ago at a community space called Corazon Del Pueblo, but lost the space due to gentrification. The group relocated to another autonomous community space in Boyle Heights called La Conxa, but again lost the space due to rising rents. It’s a narrative that’s all too familiar on L.A.’s Eastside (and it’s what spurred Flores and Michelle García Gutiérrez to start El Sereno Against Gentrification). But a few years ago, the womyn of the Womyn’s Circle found themselves at Eastside Café, and have stayed ever since. But Hernandez and Purple’s mutual involvement in Eastside Café goes way beyond their own biweekly events. Like Flores, they can be found at almost all of Eastside Café’s gatherings—volunteering their time, coordinating other volunteers, guiding newcomers, and providing a friendly face for regulars. It’s undeniable that the café has become a bastion for female empowerment, championing women of color—not only from El Sereno but all parts of Los Angeles—to step up, fill space, and guide other women to harness their strength by tapping into the collective power: the power of interdependence. “The act of womyn holding space for each other, opening themselves up to their sistah[s], being vulnerable, insightful, and caring, is a beautiful and empowering sight to witness these last years,” Hernandez says. This energy was palpable at the Mujeres Market. The event was a collaboration between Eastside Café and Nalgona Positivity Pride, a “Xicana-Brown-Indigenous project that focuses on intersectional body positivity, eating-disorder awareness, and cultural affirmation” that was founded by Gloria Lucas in 2014 as a response to the lack of representation of women of color in the eating-disorder-awareness community. The lively market feels like the purest realization of Eastside Café’s values and mission statement—women of color setting up shop to showcase their art and connect with each other as a community, while fueling their own independence and individuality. Guided by Flores and her strong support system, the Eastside Café has established itself as an example of what autonomy can look like, but the café has had its fair share of struggles. “It wasn’t always easy. It was hard. There’s no guidebook telling you how to run a place like this,” Flores says. The hardest point came last May, when the landlord of the Eastside Café had decided to sell the property. On Thursday, May 4, at 10 a.m., Flores and a group of Eastside Café devotees sat in the café waiting to meet the potential buyer. It’s at this point in our conversation that Flores’s measured, steady tone begins to rise for the first time. “He walked in, we were all sitting down, and I got up and told him who we were, what we stood for. I showed him a video that we had put together and afterwards I asked him, right there, to drop the deal,” she says. What started as a conversation turned into a protest, ending with the potential buyer offering a proposition: If by Sunday, May 13, they could come up with a bonafide offer to buy the space, he would retreat. Flores and members of the collective immediately got to work spreading the word, and by the next day musicians Aloe Blacc and Maya Jupiter had already donated a combined $60,000 to the cause. A few days later they secured a non-profit as a fiscal sponsor, their GoFundMe campaign was bringing in thousands every hour, and people were driving by the space to drop off any bit of extra cash they could. By May 18, they had raised a total of $120,000—enough to open escrow on the building and enough for the buyer to keep his word and back out of the deal. They had won. And continue conviviendo. Next article8 of the Very Best Margaritas in L.A.